I was wondering if now and then you would be willing to include a hand you played. What the relevant stack sizes were, your and the villain's position, your cards, and what you were thinking. 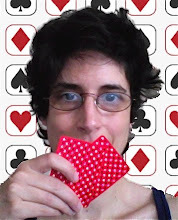 As I know you know, there is no right or wrong way to play a given hand, but it's instructive to see how others play.